I really liked watching the Transformers growing up. I had a bunch of toys as well to go with that and one of my favorites has always been Devastator. Now, I’m going to undertake a project that will hopefully add him to my collection of stuff I shouldn’t even be caring about anymore but still do. 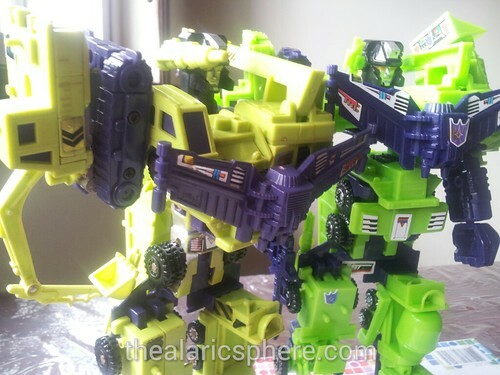 The above picture is side by side of my original Devastator (left) and the bootleg one (right). 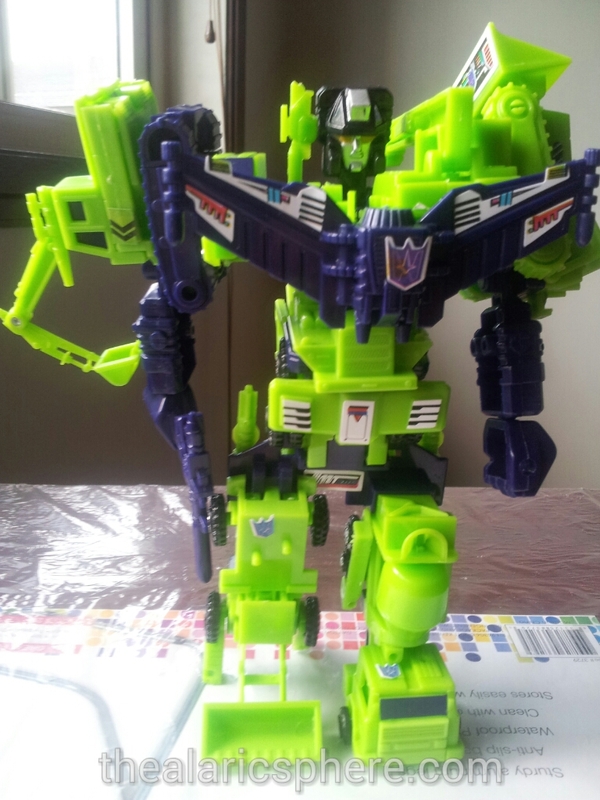 What made Devastator so awesome was the fact that he was a combination of 6, not 5, 6 construction robots. The others only had 5 mostly so he was literally 1 up from the rest of the competition. As a kid, my mom would go look for each piece of the Devastator set. (Yep, they used to sell these 1 by 1. WHY would they do that? Just sell them as a set!). So anyway, growing up and in the process of collecting the 6, I had lost a lot of the pieces already like the arms and some of the guns. Fast forward to a few weeks ago. 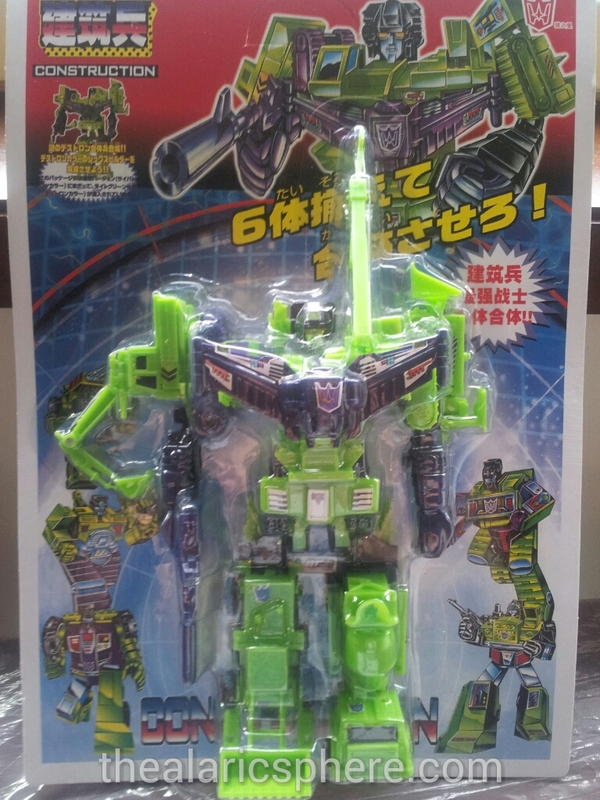 I saw a bootleg version of the Devastator toy for just a little under P300. So I decided to buy it and just undertake a restoration project that will hopefully make it less cheap-looking. It looked kind of ok before I tore open the package. But after opening, I could really feel the “you get what you pay for” statement. This thing reeks of cheap plastic, nothing stays together for very long, the thing doesn’t stay standing without a lot of assistance. So during the holidays I hope to do some restoring and improving. Challenge accepted! I’ll write another post to report on how far I get.